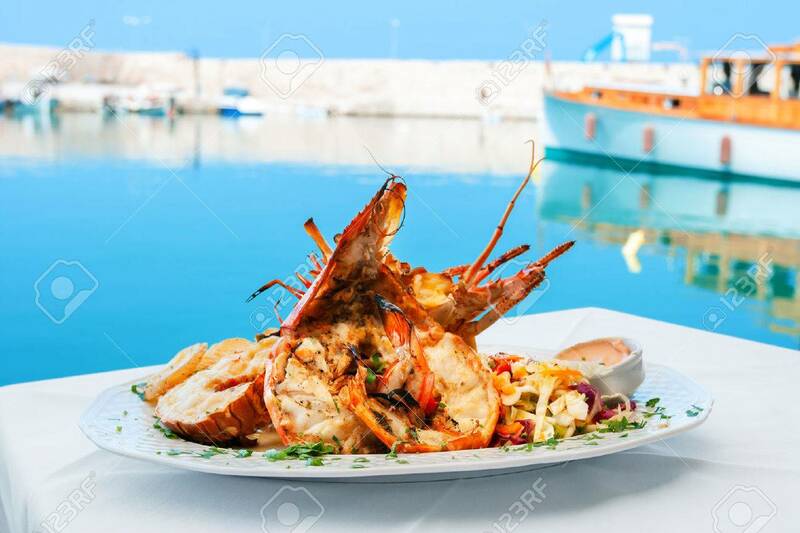 Lobster Served With Vegetables On White Plate. Rethymno, Crete,.. Stock Photo, Picture And Royalty Free Image. Image 34009486.